Its 2017! Have you taken the time to write your goals for the New Year? What is your vision for this year. Have your visualized them and , wrote them down and gathered a picture that represents what you want to manifest in your life. Turn your dream into a specific goal. Put a deadline on your dreams and do them. I am challenging you, myself too, to make that vision board and write your goals. I challenge you to write at least what three goals with a set deadline (but strive to write all of them as much as possible) you will set for this year and what actions will you take to achieve them. And it is well worth it to begin the New Year right. 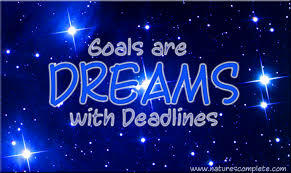 Goals can motivate and “catapult you in the direction of the attainment of fulfilling your dreams” Pam Perry. A goal is a target, the desired end of our efforts..
Get a journal to write the goals in or a loose leaf notebook and divide the note book under the relevant categories. As Habakkuk 2: 1-4 records, we should “write the vision and make it plain…” so that “…he may run who reads it.” You should then list your goals under specific goal categories such as spiritual goals, educational goals, business/career goals, financial goals and personal goals or other focus areas pertinent to you. Freelance writer, online columnist and former stay at home mom for 15 years, Patricia Chadwick, suggests that you get away by yourself for a day in order to really think about the goals you want to set for you and your family without any distractions. Alternatively, establish 2 or 3 hour sessions until you complete your assignment if you are unable to do this for a day. Turn off the phone and television. Do not go on the Internet –especially Facebook. To set her goals she uses a loose-leaf notebook with a yearly calendar in it and breaks the notebook into 12 categories. Prayer warrior and writer, Cynthia Bezek, in the article “Plan to Grow” suggests that once your goals have emerged, consider each goal and find as many verses as you can to support that goal. Use the concordance to look up key words. Write relevant passages into your notebook. This process helped her to internalize what the Lord was teaching her. Write down promises you may need to rely on and “eat” them in order for God to accomplish each goal in your life. Write down specific action items you must undertake to accomplish your goal in a manner that will help you to measure your progress. Make the steps to the attaining of the goal as practical as possible. 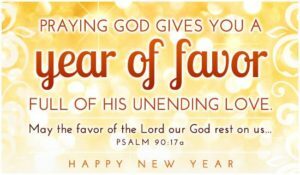 Victorious and Blessed New Year 2017! As you go forward in 2017-Release baggage of the past. Lay aside every weight, sin and burden.Forget the past and PRESS and move forward to YOUR GREATER- to the mark of the high calling of Jesus Christ. ( Hebrews 12:1-3. Philippians 3:13). Keep Praying and Pressing. Pursue your dreams and do not fear shining with the spirit of excellence. As a follower of the Lord, you don’t have to go through life downtrodden and defeated. Come see what it means to be on the winning side!